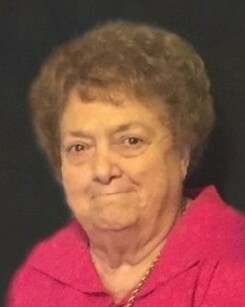 Sallie “Jo” Busby, 79, of Amarillo, died April 2, 2019. Memorial services will be held at 11:00 a.m., Friday, April 5, 2019 at First Nazarene Church, 5201 S. Soncy, Amarillo, Tx. Arrangements are by Schooler Funeral Home, 4100 S. Georgia, Amarillo, Tx. Jo was born June 27, 1939 in Stephenville, Tx to Howard Holton and Billie Louise Yarbrough Holton. She grew up in Wellington and graduated from Wellington High School. She married Wes Busby August 16, 1957 and together they celebrated 61 years of marriage. She and Wes owned several businesses in their lifetime, most recently Amarillo Window Cleaning. They enjoyed square dancing in their younger years and were owners of The Yellow Rock square dance center for many years. They were members of First Nazarene Church. Jo is survived by her husband Wes; daughters, D-Nan Fink and husband Bert and Edye Holland and husband Richard all of Amarillo; son, Rod Busby and wife Cindy of Dalhart; sister, Marylou Kane and husband Rod of Wellington; brother, Truitt Holton and wife Toni of Tulia; 4 grandchildren, Lindy, Jamie, Michael and Abby; 7 great-grandchildren, Brycen, Ryleigh, Justin, Korie, Anna, Wesley and William. The family suggests memorials be made to ASCA: Amarillo Senior Citizens Association, Inc., 1220 S. Polk St., Amarillo, TX 79101.